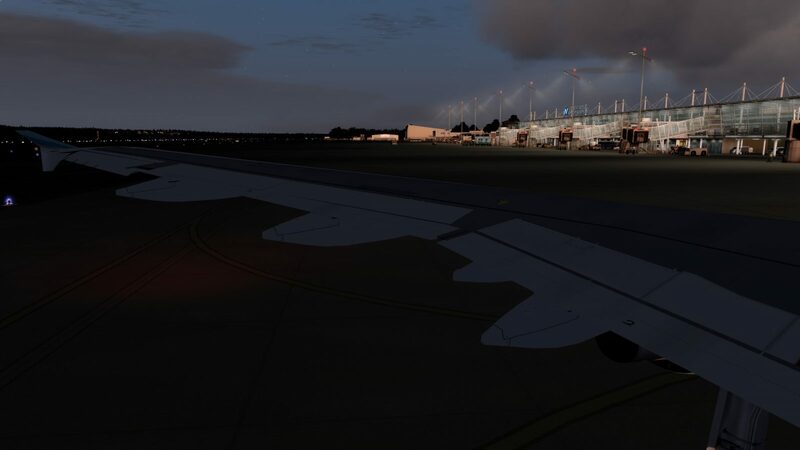 Nuremberg Airport by developer 29Palms and Captain7 may well be one of the best sceneries in my library. 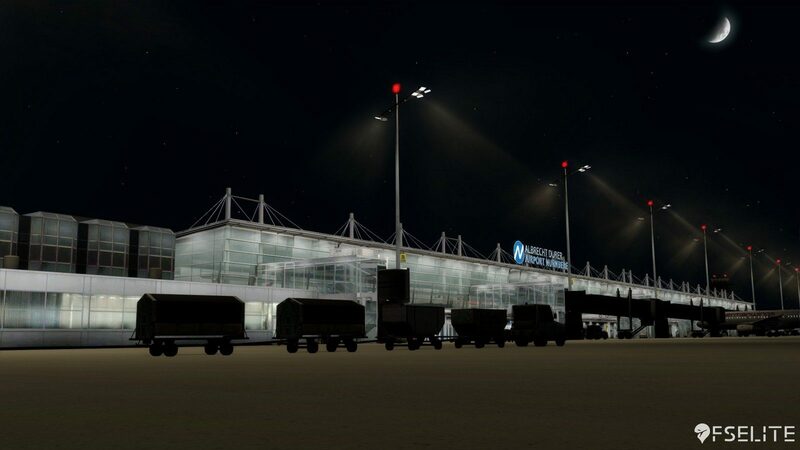 Thoughtfully laid out and with a clear attention to detail, 29Palms and Captain7 have captured the essence of this cozy Bavarian airport. 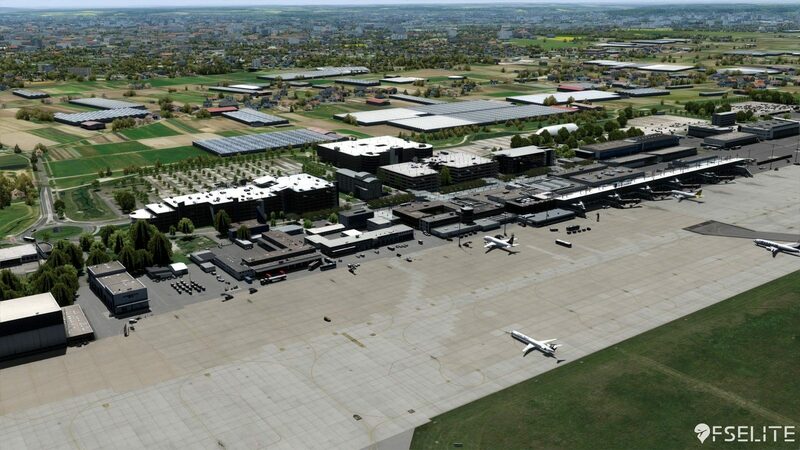 Nuremberg International Airport (EDDN) is located in the heart of Bavaria, and is the second-busiest airport next to Munich Airport (EDDM). Serving over 4.2 million passengers each year, the airport offers flights to European metropolitan and leisure destinations, along with spots in the Mediterranean, Canary Islands, and Egypt. 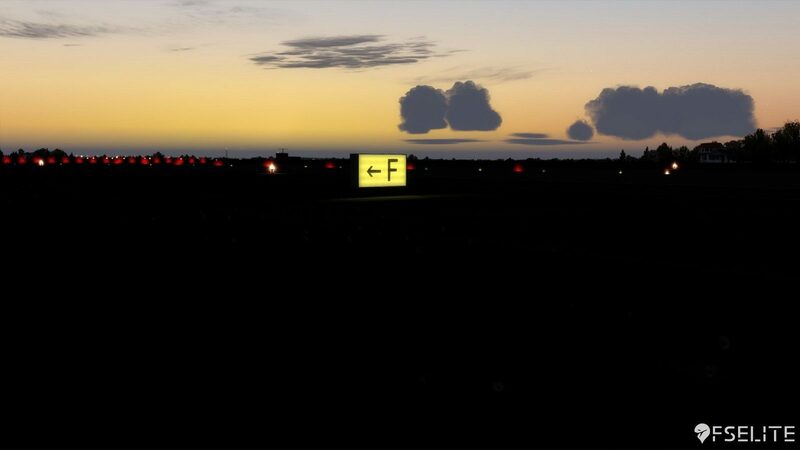 Routes in and out of the airport are numerous, and almost every major European operator has a plane at the airport either seasonally or on a regular route. Constructed after World War II, the airport opened in 1955. In 1961, the runway was extended to 2300 metres, and then to 2,700 metres in 1968. The latest extension allowed the airport to accommodate large jets, and in 1970 the first Boeing 747 landed at the airport. 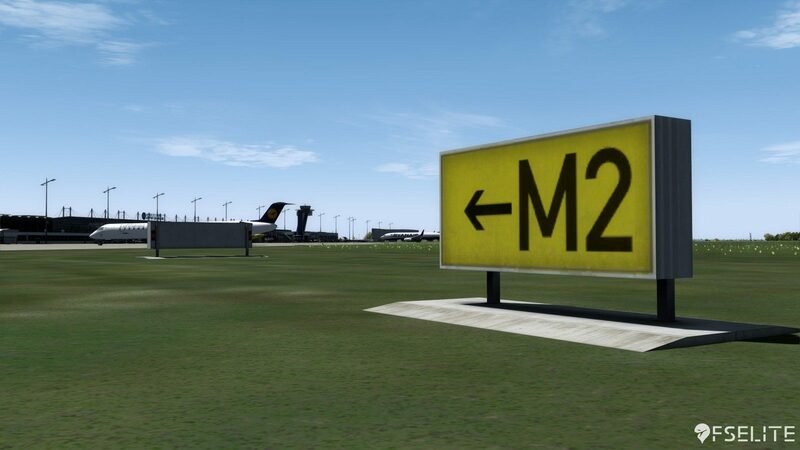 The airport can accommodate all aircraft, (including wide-body aircraft) except for the Airbus A380. 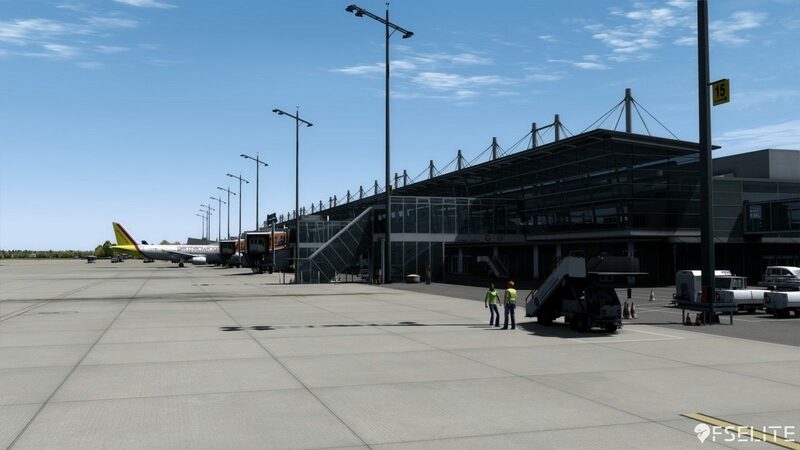 Facilities include a passenger terminal with a large apron that includes parking positions for 37 airplanes. 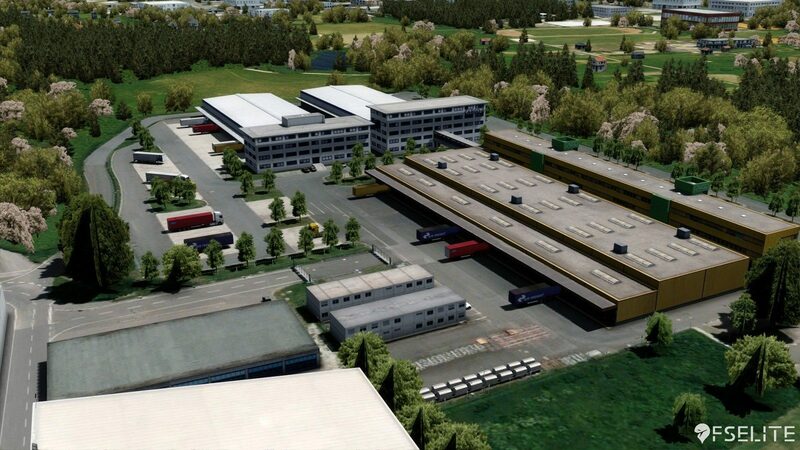 There is an original cargo centre (called Cargo Centre Nuremberg or CCN) and a second cargo centre (called Cargo Centre II or CCN II) that processes over 107 thousand tons of cargo each year. 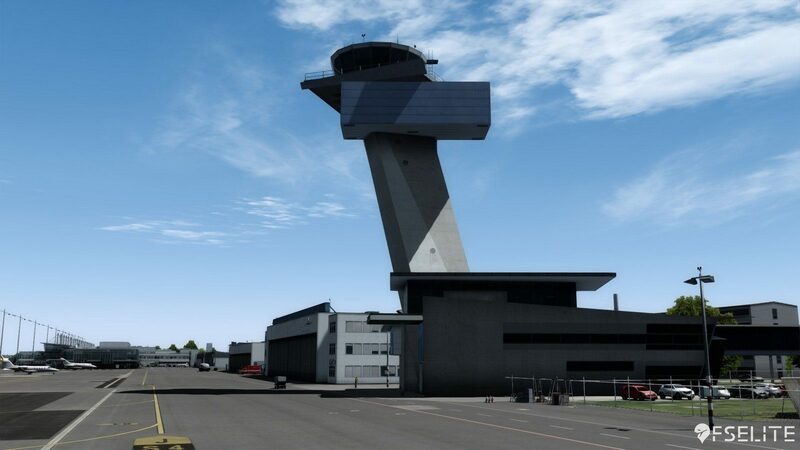 The 48-metre high control tower, with its iconic silhouette, serves as the centrepiece of the airport. Designed by famed architect Guther Behnisch, the tower is an unforgettable reminder that you’ve arrived at Nuremberg. The airport is available for purchase through several different sources. 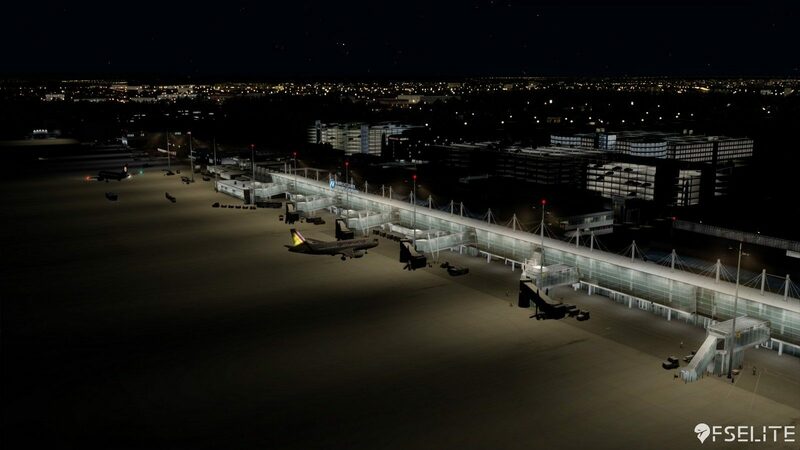 Users can purchase the airport directly from the 29Palms website, or through Flightbeam, Aerosoft, or SimMarket. 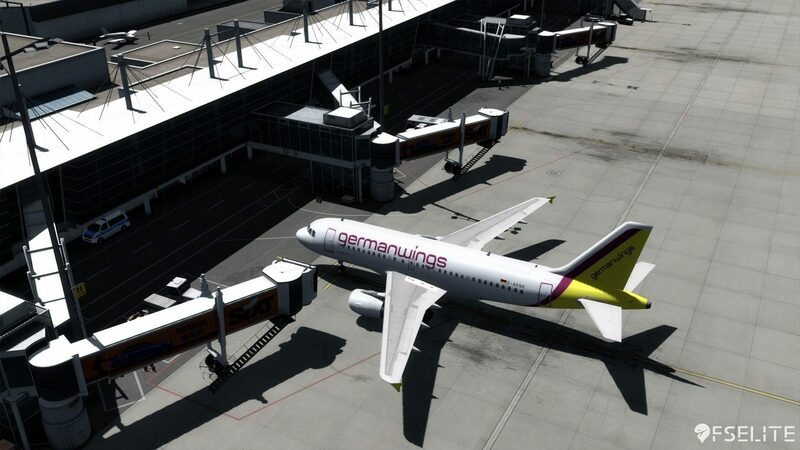 Installing the airport was a breeze. 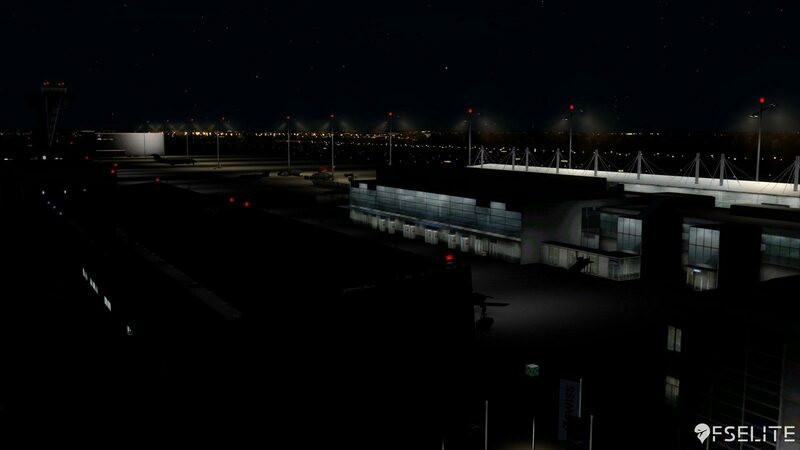 After providing the requisite serial numbers and registration information, I installed the airport in a folder of my choosing and was presented with the airport control panel at the end of installation. Users familiar with the Flightbeam Manager will feel right at home configuring the plethora of options. 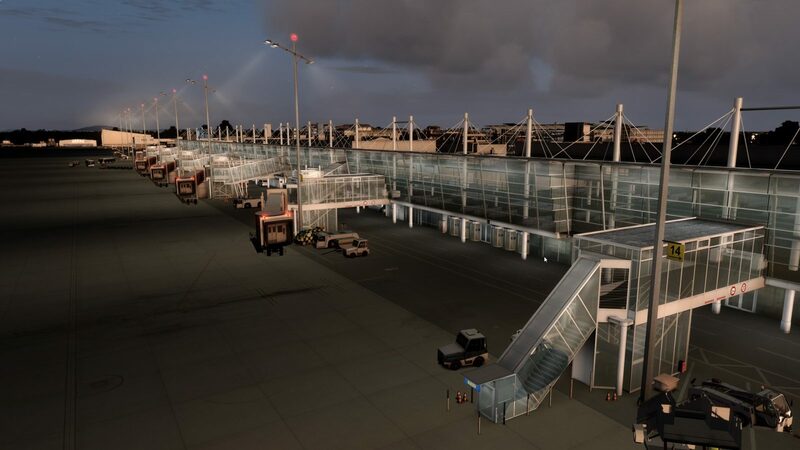 Users can chose the jetway configuration (SODE jetways are included with the airport) or decide if they want to keep the default CTRL-J configuration. Also included in the configuration panel is a variety of options that allow users to tweak performance. 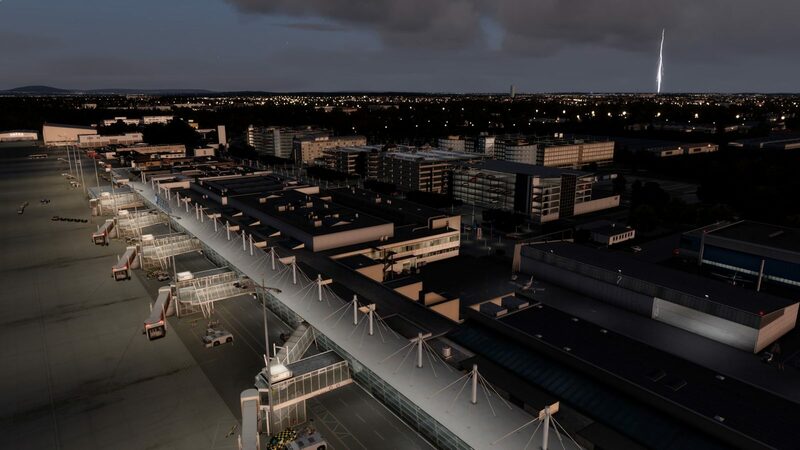 With the ability to take full advantage of P3D v4, users can decide if they want to use dynamic lighting at and around the airport. If performance is at a premium, the control panel allows options to turn off frame-sapping extras like animated vehicles, ramp workers, and the previously mentioned dynamic lighting. The provided configuration panel is easily accessed via either the start menu or a shortcut placed on the desktop, and each option is listed in a logical order along with an included explanation to help users understand which options will ask the most from their system. 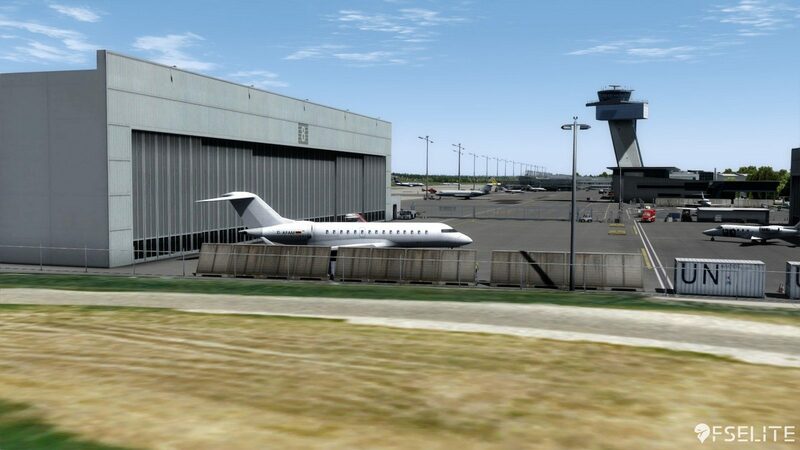 Loading into this airport, you immediately have the sense that the airport and its surrounding buildings are alive. Animated workers and vehicles populate gates and service areas in a way that feels natural. They move on paths that make sense, and you never get the impression that they are just dropped into the airport to add activity. Ground textures are subtle, which for me, is nice. I don’t care for overly-sharpened pavement texture that borders on the fake. 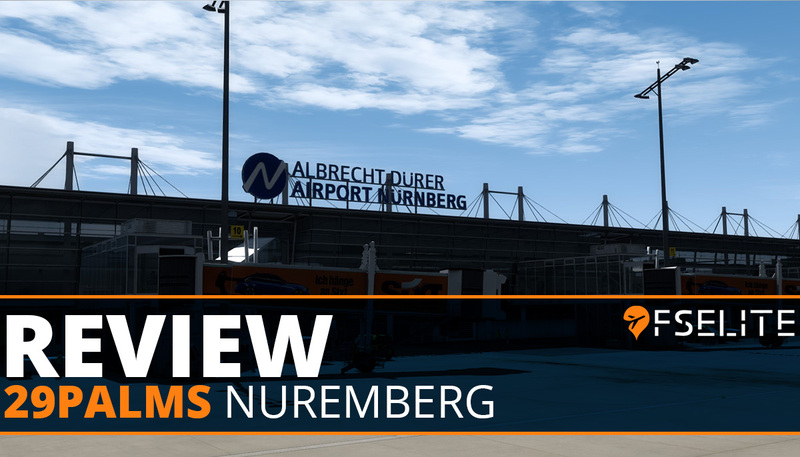 Instead, Nuremberg features a smooth pavement texture that looks like real concrete and features crisp and vibrant markings and taxi lines, along with the requisite wear and tear, oil spots, and rubber marks. An added bonus is the puddles and standing water that appears in the summertime when rain begins to fall, and the drifting snow and tracked paths in the winter time. The buildings around the airport buzz with activity. Each building seems to have its own ecosystem, with people and vehicles coming and going as they would at a busy airport. Advertisements and banners appear on buildings and jetways, and they are crisp and easy to read – not to mention representative of real-world advertisers. 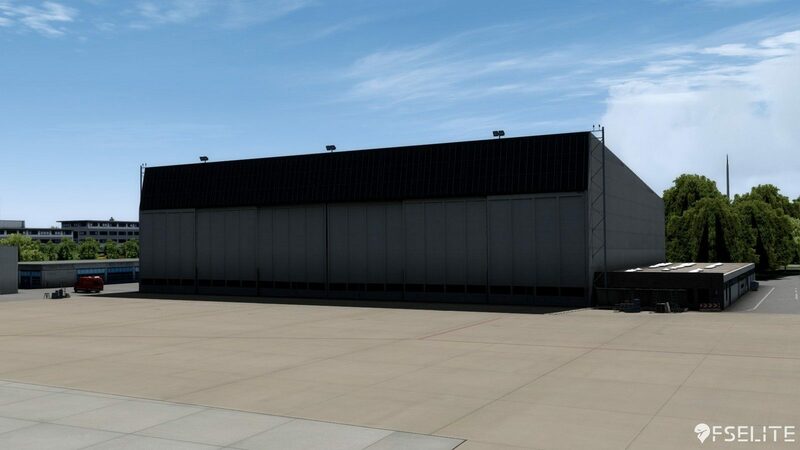 The cargo area has large and open apron areas, with cargo bins and vehicles scattered throughout the area. If you activate the static aircraft in the configuration panel, the models are crisp and realistic, and add to the immersion. At night, the buildings light up and you can peer inside and see actual waiting areas, promenades, and retailers. There is a sense of depth that comes with the buildings, which is important considering the terminal is primarily glass and steel. On the topic of night lighting I can say this: it’s fantastic! 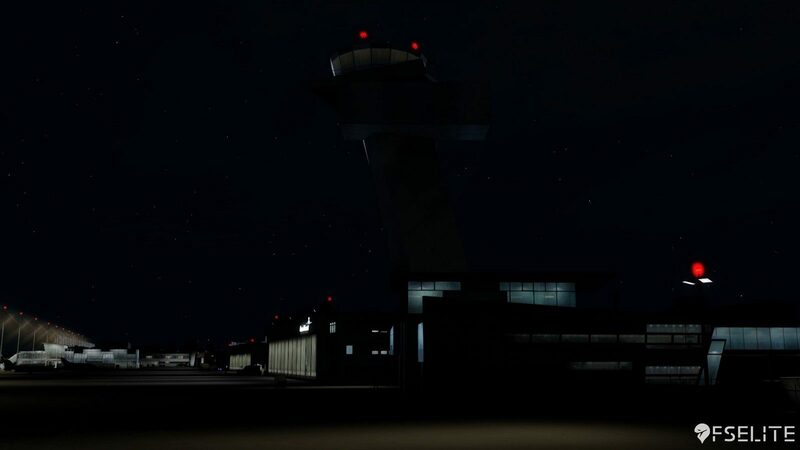 The glow of the terminal lights on the apron, the airport signage, the control tower, and the blue-lit parking garage have me starting all of my flights from this airport at either dawn or dusk. 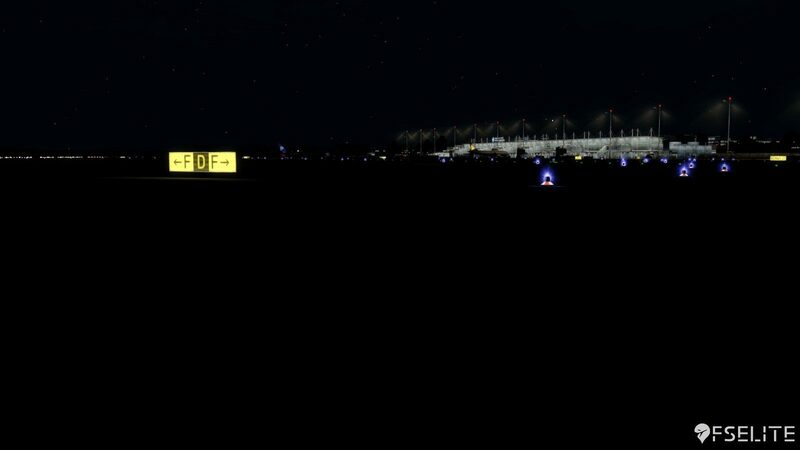 As you take to the air, the autogen that surrounds the airport (all 55 square kilometres of 20cm per pixel glory), shines hazily in the distance, just as it would in a real-world flight. Cars pass on the roadways below, and the scenery blends well with Orbx’s Global, Vector, Open LC Europe, and Germany South (all of which I was using). During the daytime, the scenery fares equally as well, with details in the nearby town of Nuremberg and the Behringsdorfer Forest ensuring pilots will switch to an external view at least a few times during their approach to admire the eye-candy. With so much visual appeal, it’s easy to think the airport will slow your system to a crawl. Animated vehicles, ramp workers, lighting, and crisp textures usually mean you’re settling in for a PowerPoint presentation instead of a flight. But, in the case of Nuremberg, I was pleasantly surprised. 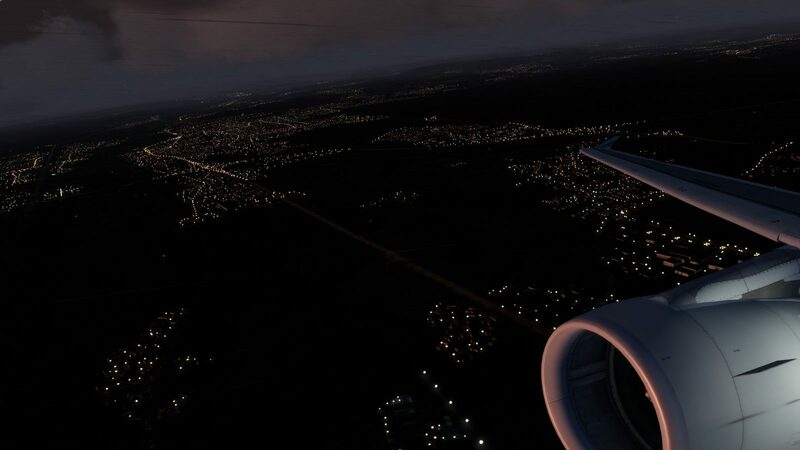 In normal conditions, using the FSLabs A319, I did not experience any stutters or slowdowns, with frames staying in the 40 – 45 FPS range (using an i7700K and a 1080ti GPU). 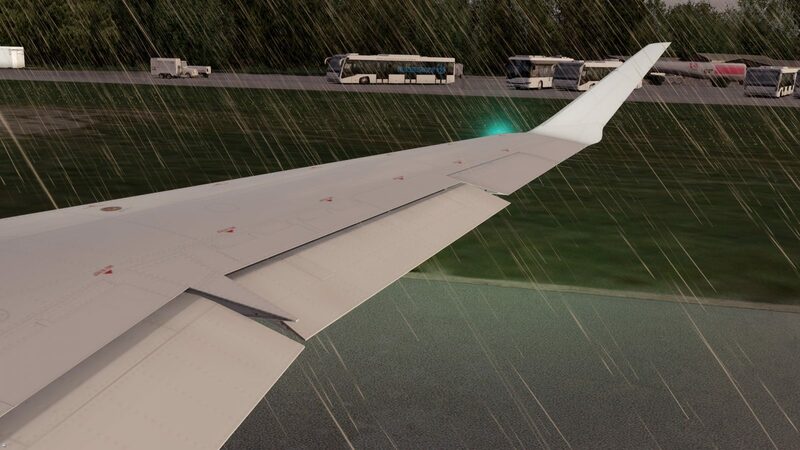 The only time I ran into a performance issues was during a rainstorm at dusk using the FSLabs A319. 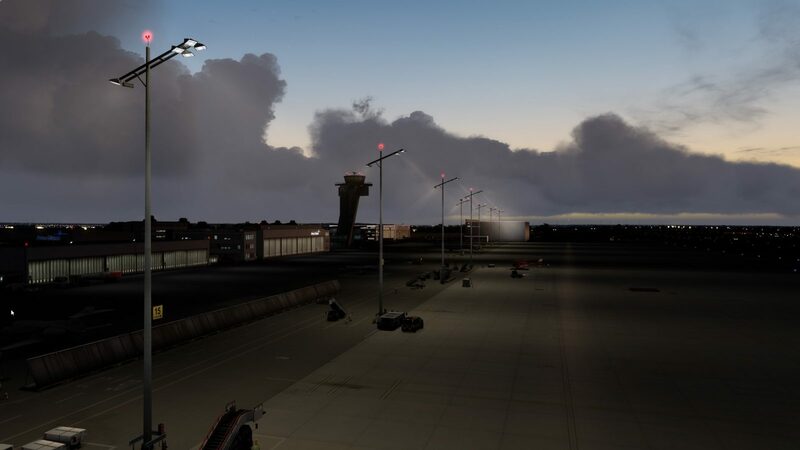 While the sim never slowed to a crawl, there were some stutters due to the rain, overcast clouds, dynamic lighting, and water textures on the runway. I would recommend tweaking performance via the included configuration panel. Hovering your mouse over each option gives you a look at the impact the setting has on performance and the impact on your sim. 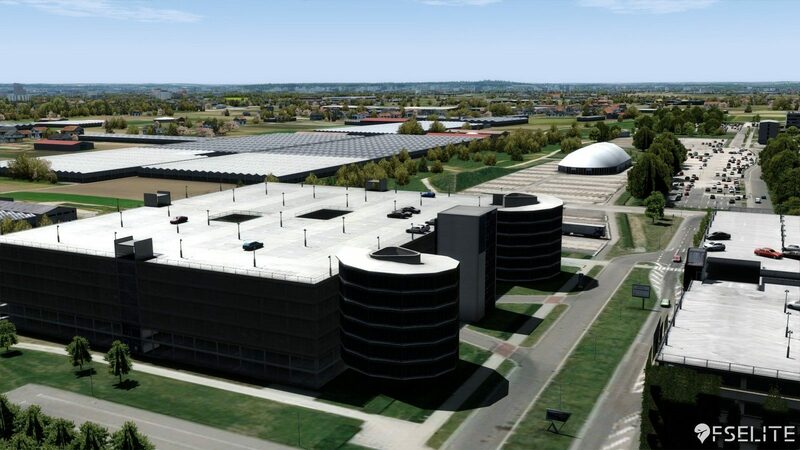 As always, mileage varies depending on your build and your P3D settings, but Nuremberg has plenty of headroom for great performance without sacrificing visual appeal. 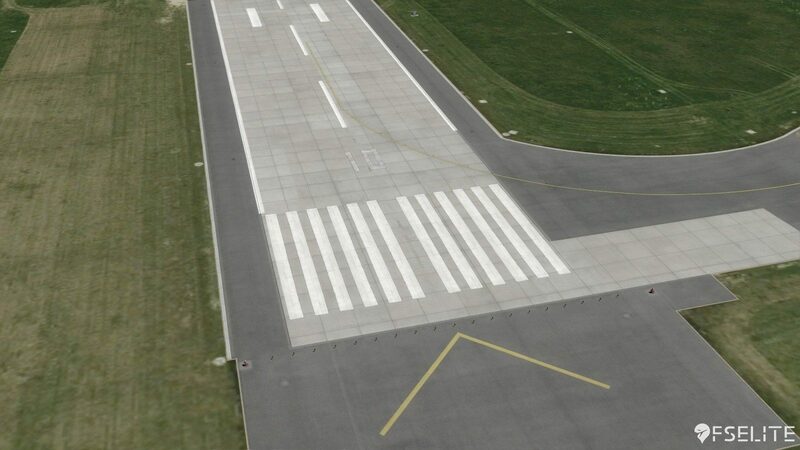 If you fly in Europe, this airport is a must-have. 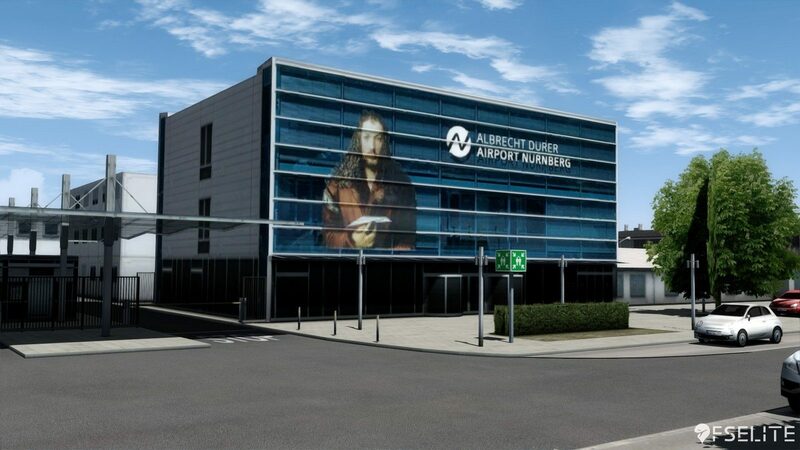 With passenger and cargo routes across Europe, this airport offers a great blend of short- and medium-haul routes. The airport receives a variety of different aircraft, and I never had an issue finding a route and an airplane that I wanted to fly. Biz Jet pilots will also find some creative routes with short hops to Vienna, Berlin, and Frankfurt. At $24.40 USD, you can’t go wrong and you will have many reasons to takeoff and land at this airport. 9.1 Out of 10 How do we score? | Feedback? 29Palms and Captain7 did a fantastic job on this scenery. They managed to take an airport and put the user in the middle of a living, breathing ecosystem. 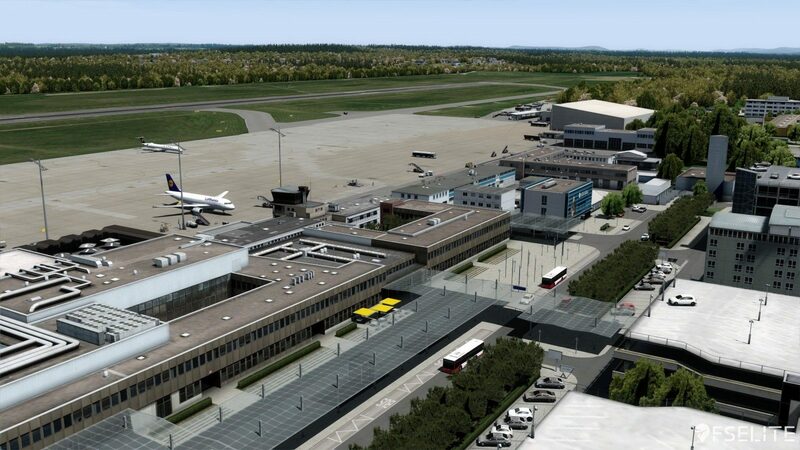 If you pick up Nuremberg, this small airport will have a top spot in your route planning and I guarantee it’s a good pick for any simmer.